KUALA LUMPUR (Sept 23): Malaysia Airlines rescheduled several flights to and from Kuala Lumpur International Airport between this Monday (Sept 26) and Thursday (Sept 29) due to closure of the Kuala Lumpur airspace for an aerial survey. In a statement today, Malaysia Airlines said flights arriving and departing between 11am and 11:59am and between 2pm and 2:59pm will be affected. 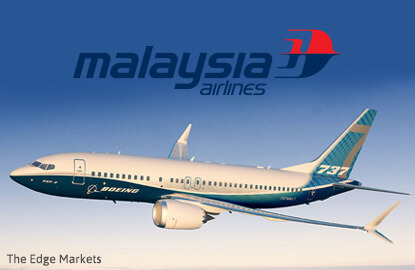 Malaysia Airlines said the affected flights comprised domestic and international routes. The list includes flights to and from Penang and Singapore.